THE Bougainville Copper Limited and Rio Tinto have executed a deed to terminate the Rio management agreement effective from September 12 this year, according to chairman Rob Burns. Burns in a statement said BCL was now an independently managed PNG company. Its head office and management team will still be based in Port Moresby. “On June 30, 2016, Rio Tinto transferred its controlling interest of 53.8 per cent shareholding in BCL to an independent trustee,” Burns said. 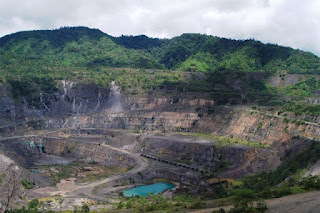 “The Independent State of Papua New Guinea took up its 17.4 per cent entitlement of the BCL shares under the arrangements established by Rio Tinto. “Previously, the PNG Government had 19.06 per cent of shares. So the Rio Tinto gift gave PNG a 36.4 per cent equity holding in the company. Following the transfer of its shareholding, the two Rio Tinto directors resigned from the BCL board. Burns is the new chairman of the board of directors. He has a 40-year experience in operational and technical mining experience including seven years with BCL while the mine was operating. He has been a director of BCL for the last 10 years. Former MP Sir Moi Avei has been appointed to the board. He had been credited for brokering the Bougainville peace agreement. The other independent directors of BCL are Sir Rabbie Namaliu and Dame Carol Kidu. BCL employed and trained about 12,000 people, including 1,000 who completed trade apprenticeships and 400 who completed graduate and post-graduate studies. Since the closure of the mine, the Bougainville Copper Foundation has continued annually to provide educational scholarships for 100 Bougainvilleans. BCL holds the exploration licence over the Panguna mine site. It is working with the Government and the ABG, people of Bougainville, landowners and stakeholders to have a redevelopment plan for a new world-class Panguna copper, gold and silver mine.